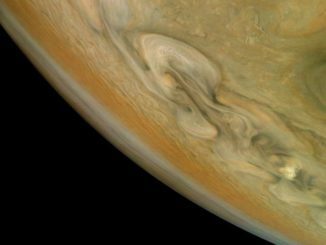 Dramatic atmospheric features in Jupiter’s northern hemisphere are captured in this view from NASA’s Juno spacecraft. 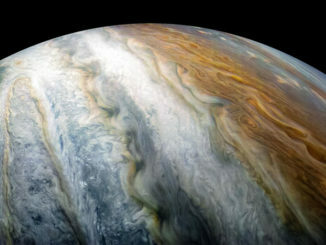 Extended oval storms known as “brown barges” are occasionally seen in Jupiter’s North and South Equatorial Belts, but they tend to blend into the surrounding area and are difficult to spot. 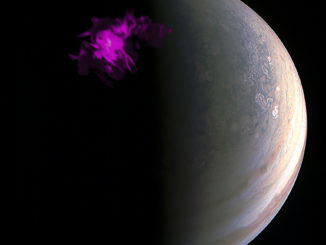 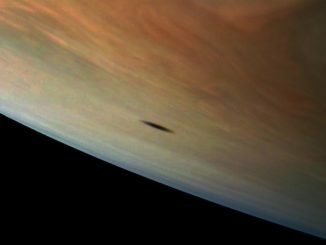 NASA’s Juno spacecraft recently captured a clear view of a brown barge in the southern belt. 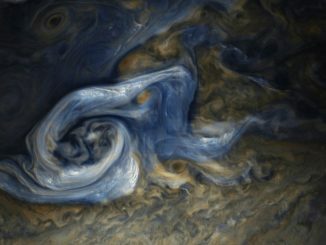 NASA’s Juno spacecraft continues to send back spectacular images of Jupiter, including this look at the giant planet’s northern temperate zone where ammonia ice clouds roam in chaos amid high-speed winds and deeper, warmer cloud structures. 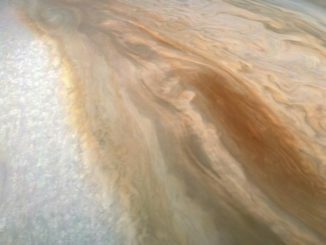 Jupiter’s red spot might be shrinking, but it’s still great! 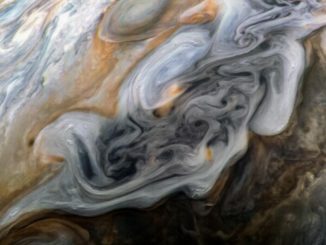 The Juno probe’s public-outreach camera routinely captures stunning views of Jupiter cloudtops and storms, including the Great Red Spot, seen here in an image processed by graphic artist Seán Doran. 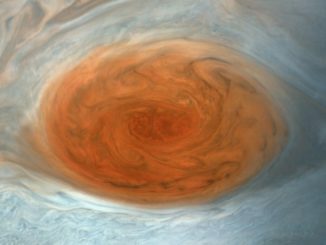 The GRS has been shrinking for years, but it remains easily the largest storm in the solar system and one still worthy of its name. 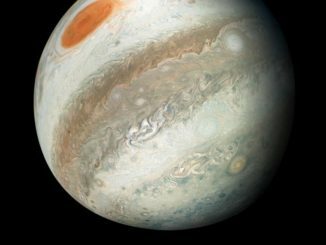 The JunoCam imager aboard NASA’s Juno spacecraft has captured a stunning view of Jupiter’s north polar region, courtesy of citizen-scientist Björn Jónsson. 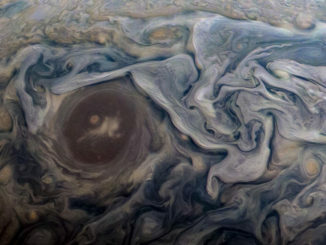 Colourful swirling cloud belts dominate Jupiter’s southern hemisphere in this image captured by NASA’s Juno spacecraft and processed by a citizen scientist.